The US Box Lacrosse Association (USBOXLA), the country’s largest box-specific governing body, is proud to announce the formation of the National Collegiate Box Series (NCBS), the launch of the Ohio Collegiate Box Lacrosse League (OCBLL), the addition of two new Colorado Collegiate Box Lacrosse League (CCBLL) teams, and the appointment of Niko Blankenship as the commissioner of the NCBS. While USBOXLA will continue to sanction already established and upcoming collegiate leagues, the NCBS has been formed to manage each league, ensuring their successful launch and to provide ongoing support within each participating state and at a national level. Blankenship, who currently serves as the University of Denver’s Assistant Director of Communications and the school’s primary media contact for the men’s lacrosse team, will fill the critical role as the series’ first-ever commissioner. This past summer, Blankenship also successfully served as the inaugural commissioner of the CCBLL. “The announcement of the NCBS is great news for collegiate lacrosse,” said Blankenship, who will oversee each new league’s player combine, draft, and opening week of action, while providing additional support throughout their regular season and playoffs. “I look forward to not only continuing to be involved in a game operations capacity in Denver, but to be able to make sure that the quality of our product can be matched in our expansion cities. One of those expansion groups will be based in Ohio, with teams playing in both Columbus and Cleveland starting in June 2018. Four teams will be based in Columbus and host games at the three-pad Resolute Athletic Center, while an additional two teams will call Cleveland home at a soon-to-be-confirmed facility. Team names, logos, schedules, and key dates will be announced shortly. “The OCBLL will be a game changer for summer lacrosse in the Ohio Community,” said Myers. “We look forward to working with amazing partners to make this a reality in 2018 and provide an amazing atmosphere for young men to compete and develop their game during the off season. As the CCBLL did last summer in Denver, the OCBLL will also attempt to secure summer employment opportunities for players that require, plus provide budget-friendly housing accommodations for out-of-town athletes. WANT TO PLAY COLLEGIATE box? SUBMIT YOUR NAME HERE. Competitors during the NCAA season, Myers and Sheridan are working alongside one another to not only establish this new league, but to make it a positive and beneficial experience for all involved. “The OCBLL in Cleveland will provide an outlet for elite player development over the summer for collegiate student-athletes serious about improving their game and competing at a high level,” added Sheridan. “Players in Cleveland can live downtown and take advantage of a wide array of job and internship opportunities in the city. Bice, a former Ohio State standout and Major League Lacrosse all star, has been one of the biggest supporters of USBOXLA-sanctioned box lacrosse and feels the OCBLL is the natural next step for Resolute athletes. “For us at Resolute, we’re always looking for ways to provide opportunities for our players, and college players are no exception,” said Bice, who for the past two summers has served as a coach with Team USBOXLA during high profile Canadian tours. “We’ve had a lot of kids graduate from our program who are currently playing lacrosse in college. Resolute will also manage the everyday operation of the OCBLL, currently in the final stages of negotiating an arena deal in Cleveland. “With more USBOXLA-sanctioned collegiate leagues popping up in the next few years, I’m really confident this is going to be something that really catches on and succeeds,” added Bice. “We want to give Americans a similar experience to what Canadian collegiate players experience during their summers. After a tremendously successful inaugural campaign, the CCBLL is already expanding, adding the Red Hawks and Blizzard for the 2018 season. They join the Denver-based league’s original four teams: Bighorns, Fighting Bison, Gold Miners, and Stoneflies. The CCBLL was born through a unique collaboration between the University of Denver, the National Lacrosse League’s Colorado Mammoth, Warrior Lacrosse, and of course USBOXLA. Between the Colorado and Ohio leagues alone, 240-plus college athletes will be playing real box lacrosse during the bulk of their upcoming summer. 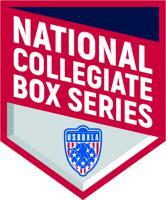 USBOXLA and the NCBS will also be confirming at least one additional collegiate league in coming weeks. This league will be based on the east coast and is tentatively scheduled to carry four teams (a minimum of 80 additional roster spots). More leagues are currently being planned for as early as the 2018 and 2019 seasons. “With all the additional traction and interest the CCBLL picked up as its first season progressed last year, both an expansion to six teams in Colorado, plus the expansion to Ohio and other upcoming states in the short term was easy to justify,” said Blankenship. “We’ve received an overwhelmingly positive response for what was accomplished in Denver last year, and the buzz in Ohio has already started. Currently, USBOXLA membership has ballooned to almost 15,000 members across nearly 30 states, providing players, coaches, and officials an ultra-safe and skilled environment to play box lacrosse the way it was intended. 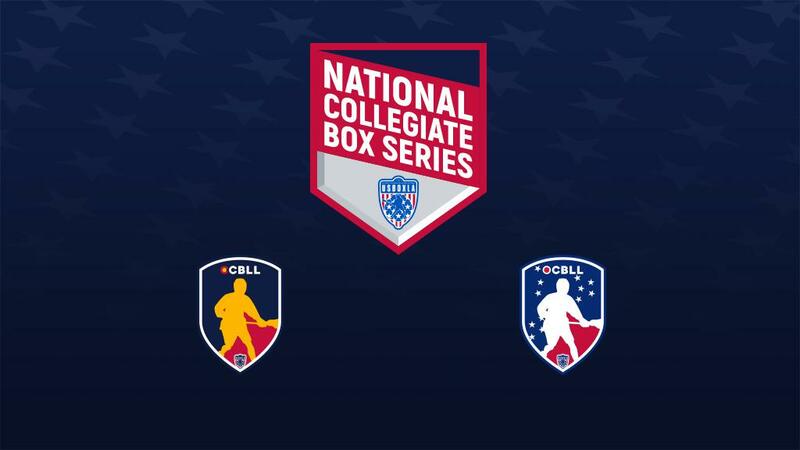 It’s the reason why Bice and Resolute Lacrosse have not only remained with USBOXLA for several years, but why they’ve taken this next step into the collegiate box game alongside the association. For players interested in playing in the CCBLL, OCBLL, and other upcoming collegiate leagues, click or tap here to fill out a registration form. An NCBS representative will contact you in coming weeks with more information. For NCBS media inquiries, please contact USBOXLA Marketing & Media Director Paul Tutka at tutka@usboxla.com. Keep watching usboxla.com and follow us on Twitter, Instagram, and Facebook for updates on new collegiate leagues and opportunities in 2018.